Clive Owen LLP has appointed four new trainees at its Darlington office as it prepares for future growth. The local young people will have the opportunity to gain skills, qualifications and experience while earning a salary. During a three-year training contract, three of the trainees will receive full study support for the prestigious ACA qualification with the ICAEW. Paige Robson, who only recently completed her A-Levels, will work towards AAT Level 3 and 4 before embarking on the ACA training. Elizabeth Rae (21) from Saltburn who studied accounting and finance at Teesside University and Oliver Bainbridge (22) from Newton Aycliffe who studied for the Association of Accounting Technicians (AAT) qualification at Darlington’s QE College will be joined by 22-year-old Lydia Dawes from Richmond who studied Maths at Newcastle University and Bishop Auckland-based Paige, 18, who attended Wolsingham 6th Form. 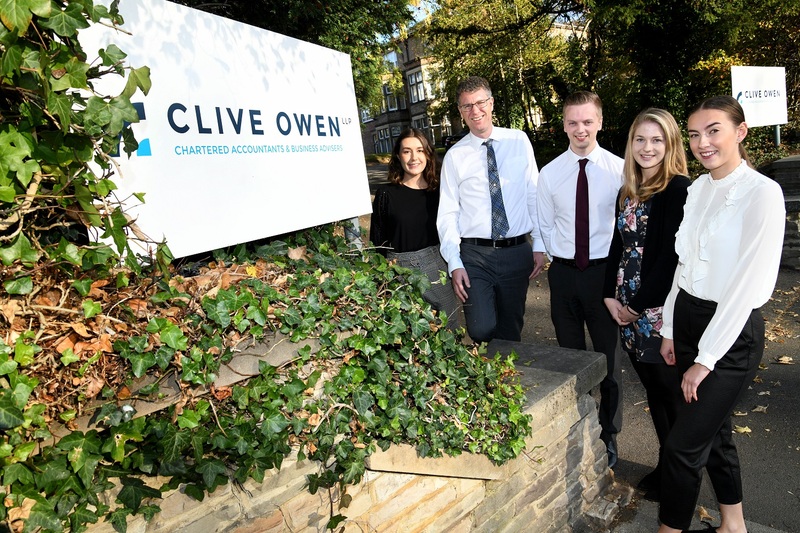 Clive Owen LLP was recognised for its excellence with the accolade of Accountancy Firm of the Year (51 – 200 employees) at the prestigious North East Accountancy Wards 2018. The firm has grown significantly over its 35-year history since Clive Owen himself founded the firm, working with a broad range of businesses across North East and Yorkshire offering a range of specialised services. « Entrepreneurs relief – Are you going to lose out?